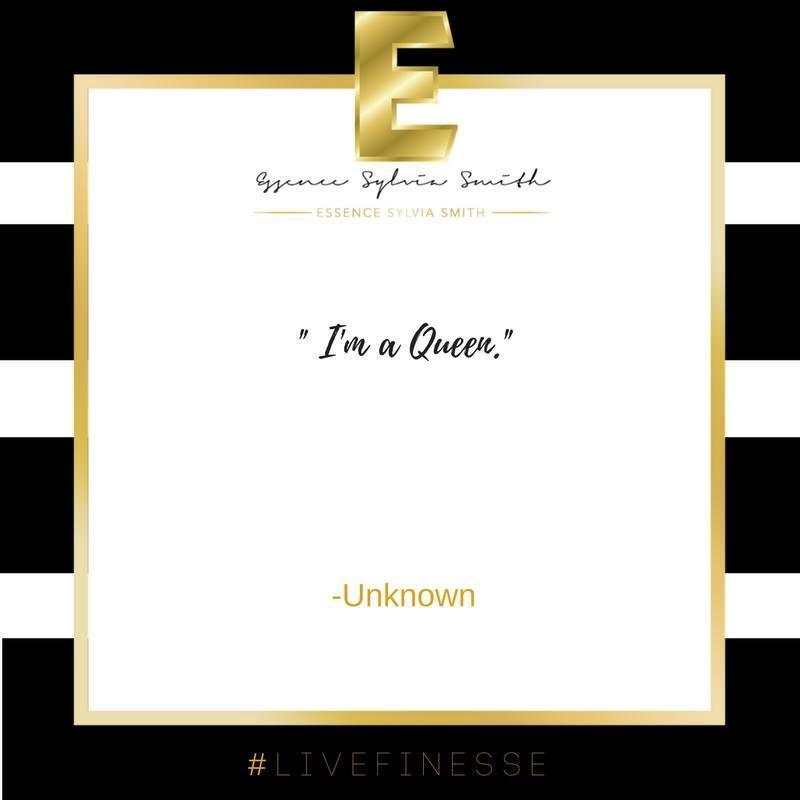 Okay, so that’s a little dramatic but I just want to say that this marks a new start for my brand Essence Sylvia Smith, #LiveFinESSe. If you’ve been following me you know I first launched my blog “Live FinESSe” on July 15, 2016 this was a great moment in time. However, after having several post, designing my website, and getting everything how I wanted it, I realized I didn’t like anything at all. I didn’t like my colors (pink, what was I thinking? ), and I found myself forcing content that I didn’t even care that much about. I was just trying to push it out. So, soon after launching, Live FinESSe was dead and gone. On May 23, 2017 (My birthday), I launched my blog, Essence Sylvia Smith. I changed my colors, rebranded, and told myself that i was going to blog as it came to me and see where I could go from there. I feel like I was getting closer to where I wanted to be but I wasn’t there just yet. It’s safe to say that launch went no where, and shortly after it failed as well. July of this year, I attended Essence Festival and it literally changed my life. Just imagine being around hundreds of Black and Brown passionate women, dressed to the nines! When I left the event I was not only inspired, but also determined more than ever to get my brand off the ground. Shortly after leaving Essence Festival, I contacted my close friends and family to let them know that I was going to go full force with pursuing my brand and my goal of becoming an influencer. I asked for their support. Even though I didn’t have to ask, I just wanted people to keep me accountable. Looking back on it I realized I found Essence at Essence. Funny right? but there’s just something that lit a fire to my soul. So Essence, what exactly are you trying to do? I no longer describe myself as a blogger or vlogger; I do not wish to be a model for runways, magazines or Instagram. However, I love engaging with others on all platforms. 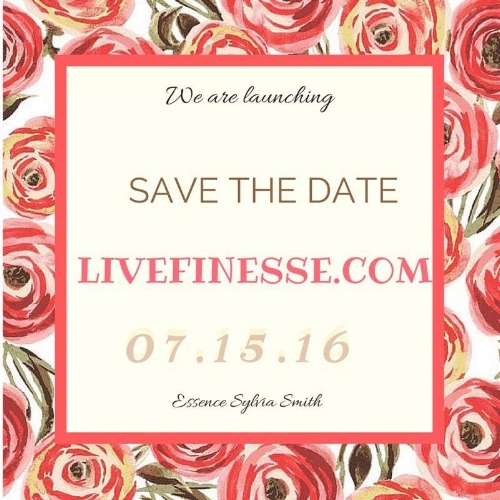 The goal is grow my brand and make Essence Sylvia Smith, #LiveFinESSe a household name. In a condensed world, how do you stand out? You have to be YOURSELF! I am being the best Essence Sylvia Smith that I can be. I’m not settling with complacency or excuses. I am pushing myself to new heights because comfortability and growth are not synonyms. I hope that you can understand my journey and support but if not it’s okay. I am unapologetically me and my eye is on the goal. If you are interested in blogging or a podcast see information below. Need help with your brand/business? Simply Branded - Social Media Manager and consultant primarily focusing on small businesses. Ariana Nicole Design- Brand + Web Designer for passionate women. Are you interested in blogging/writing or know someone who is? Don’t want to manage your own blog or website just yet? Lets chat! I’m looking for bloggers. I will give you credit for for writing. I’m currently looking for creatives who are interested in a bi-monthly podcast. Men and Women are welcomed. MUST be in the Charlotte area. Get the latest and greatest on all things #LiveFinESSe. Catch up on everything you’ve missed with Essence Sylvia Smith. Be the first to know about giveaways and exclusive content.